ABKCO RECORDS - The extensive PR kit invites you to Get stoned in a whole new way while also including loads of technical data from mastering engineer legend Bob Ludwig and record company posturing from ABKCO Records guru Jody Klein verifying the glories of Super Audio SACD, Direct Stream Digital (DSD) mastering and Super Bit Mapping processes. But in the end it was the 21 cut sampler contained in the press kit that really proved to this writer that, soundwise, this is what fans of The Rolling Stones have long been waiting for. Abkcos new line of hybrid Stones CDsplayable on SACD players and any standard CD players alikeare clearly the best sounding Stones CDs to hit the market since their initial arrival back in 1987. Each of the 22 various American and English CD titles comprising the entire 60s catalog of The Rolling Stones benefits soundwise and the impressive digi-pak packagingalthough minus liner notes and lyricsis really prominent looking and will impress Stones fans. Looking back on it all 30+ years later, the highlight of the 60s Stones catalog was the synergy created by the original lineupespecially the way the late, great Brian Jones (the man credited by some as the one whose blues mastery invented the Stones) interacted with the Mick Jagger / Keith Richards songwriting team and the crack rhythm section of Bill Wyman and Charlie Watts. While the Stones were primarily regarded as a singles band by many teenyboppers for much of the 60s, it was the groups classic 67 psychedelic masterpiece Their Satanic Majesties Request that really put them on the map as serious contenders to the Beatles throne. Their all time classic, 1968s Beggars Banquet was followed by their near-best from 69, Let It Bleed, but it all came crashing down with the tragic, unnecessary death of Brian Jones in July 69. 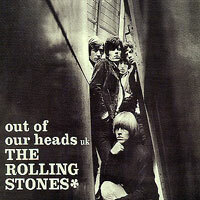 Anyone who followed the Stones throughout the 60s will be impressed at the diversity, scope and improved sound of the ABKCO Rolling Stones reissue series which revives divergent U.K. and U.S. album reissues of all their early to mid 60s albums (best examples being: the shared cover art, different tracks of the U.K. release of Out Of Our Heads and the U.S. release of Decembers Children, the different track line-up of the US and UK versions of Between The Buttons and the two different covers of their classic Aftermath). BMG HERITAGE - Although primarily known as a singles band, The Lovin Spoonful did record a number of memorable studio albums, the first two of which were reissued in the U.S. for the first time during Summer 2002. Both Do You Believe In Magic (first released November 1965) and Daydream (March 1966) are two of the latest releases on the NYC-based Buddha / BMG Heritage label. Released in the 60s on Kama Sutra Records, both BMG CDs sport bonus tracks, new and original liner notes (that are actually readable) and original LP artwork. Expertly produced and remastered by Rob Santos and Sundazed Records honcho Bob Irwin, both BMG Spoonful reissues go to great lengths to capture the pop enthusiasm the group brought to Top 40 radio during the heyday of 60s Beatlemania. Also on BMG Heritage is a new best of CD from late, great singer-songwriter Harry Nilsson simply entitled Greatest Hits. Spanning Nilssons heyday, 1967-73, the 21 track single CD features all the big hits (Everybodys Talkin, Jump Into The Fire, Spaceman) with new liner notes and track data and legendary appearances from pop icons such as John Lennon, George Harrison, Ringo Starr, Peter Frampton, Caleb Quaye and Chris Spedding. EMI RECORDS - The back catalog of EMI Records in the U.K. reads like a textbook of Western pop music history. In addition to being the label home for The Beatles, EMI in England is also the label credited with signing the biggest names in pop music history. 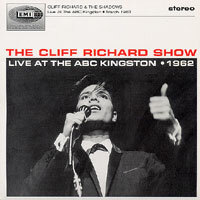 Heading up the list of major reissues on EMI is a 2002 release entitled The Cliff Richard Show - Live At The ABC Kingston 1962 from Cliff Richard & The Shadows. Before The Beatles conquered the worldwide pop charts pop idol Cliff Richard was the man to top. Richard is often credited with discovering instrumental pop heroes The Shadows and, in fact, Shadows founders Hank Marvin and Bruce Welch wrote and arranged most of Cliffs 60s albums. Recorded in England on their 1962 tour, Live At The ABC Kingston provides a pretty accurate account of those early pre-Beatlemania days in England. The Shads would come on first and run through a number of their chart-topping instrumentals, mixing in a few vocal hits followed by Cliff and all those screaming girls. A valuable, historic CD release on EMI U.K., Live At The ABC Kingston 1962 is superbly packaged with incredible period piece photos, 2002 liner notes and an exact duplication of the program guide from that fateful February-March 1962 tour. For 60s pop completists, recent 2002 60s 2on1 reissues from the EMI U.K. vaults include How Do You Do It? / Ferry Cross The Mersey from Liverpool pop heroes Gerry And The Pacemakers, You Were Mad For Me / In Disneyland from Freddie & The Dreamers and a 24 track twofer reissuepairing Hermans Hermits / Both Sides Of Hermans Hermits from the great, you guessed it Hermans Hermits. Each of these superb EMI reissues features original album art and original (and sometimes hard to read) liner notes. GLITTERHOUSE RECORDS - Guitar instrumental fans have been raving for years about pedal steel guitarist Bill Elm and his band Friends Of Dean Martinez. Early FODM albums on Sub Pop Records put the band in tight with savvy guitar fans and its worth noting two recent FODM CD releases on the German-based Glitterhouse Records. The bands core lineup of Bill Elm (steel guitar), Mike Semple (guitar) and Dave Larchance (drums) come alive on their 2001 live CDrecorded in GermanyLive At Club 2. 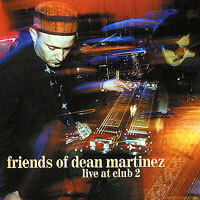 Sounding like an instrumental version of Neil Youngs Crazy Horse, the all-instrumental Live At Club 2 offers a devastating sonic performance featuring a number of Elm/Semple originals and covers of Gershwins Summertime and Tennessee Waltz. Another must hear CD from Elm and company another 2001 release, Wichita Lineman, also out on Glitterhouse. Recorded in Austin, and featuring Elm, Semple and a host of fine players, Wichita Lineman shows just how great FODM is in the studio, and yes, there is a fine instro cover of the Jimmy Webb song Wichita Lineman. Both CDs are filled with Elms majestic steel guitar reveries and are simply amazing. MULTIPHASE RECORDS - A name highly regarded among guitar fans, Carl Weingartens recent solo output includes his highly acclaimed 2000 album Blue Faith, and he adds to his legacy with his 2002 CD Escapesilence, released on Multiphase Records. In the spirit of Steve Tibbetts and Michael Hedges, Weingarten is a master at coaxing a variety of hues and textures from his acoustic and electric guitars. Some may call it New Age, world fusion, and ambient space musicyet the sound of Escapesilence literally escapes definition. A full line-up of players take part including Michael Manring (bass), acoustic guitarist Alex DeGrassi, pedal steel ace Robert Powell and drummer/engineer Brian Knave. A soundtrack for you own private movie, the entrancing, nocturnal Escapesilence beckons you to turn off the lights, slip on the headphones and drift off to a strange and wonderful place. UMG - They called him the 5th Beatle back during the Let It Be era. Having first met the Fabs during his stint as a member of Little Richards group, keyboard / organ great Billy Preston is well represented on his new compilation The Best Of Billy Preston - 20th Century Masters / The Millennium Collection on A&M / UME. Preston is perhaps credited with his performance at The Concert For Bangla Desh, where he nearly stole the show, andas the liner notes point outGeorge Harrison lends his slide guitar work on Prestons classic 1972 funk-rock instro anthem Outa-Space. Other new 20th Century Masters Millennium Collections worth checking out includes The Best Of Savoy Brown, released on Polydor / UME. Late 60s Savoy Brown classics like Blue Matter and A Step Further sealed the groups reputation as the leading blues-rock group of the 60s and early 70s. Featuring blues guitar great Kim Simmonds, the Savoy Brown Millennium Collection spotlights tracks from a number of their early albums up to and including their 71 classic Street Corner Talking, while good liner notes retrace the groups illustrious history. The British rock band Free are remembered on their Millennium Collection The Best Of Free. Theres even a few tracks from the bands great first two album classics, Tons Of Sobs and Free. Since bursting on the U.S. scene as the opening act for Blind Faith during the Summer of 69, the band always released great albums. Best known for the song All Right Now, their new best of touches on a number of Free albums. Also just out on UMG are Millennium Collection reissues The Best Of Fairport Convention (featuring late 60s early 70s folk-rock music from Richard Thompson and singer Sandy Denny) and The Best Of J.J. Cale, which features a number of the singers early classics like After Midnight (from 1971) and Cocaine, recorded in Nashville in 1976. The Millennium series remains a highly successful marketing instrument for UMG as these new reissues clearly prove.